On a night when both parties’ candidates for Holland Bukit-Timah Group Representation Constituency clashed on the issues at separately-held rallies, Singapore Democratic Party (SDP) chief Chee Soon Juan called on the Opposition and the People’s Action Party (PAP) to “find common ground” and work together on the issues. “The PAP is not all bad. 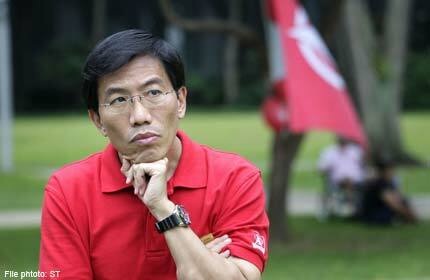 Some of the MPs genuinely work and care for the people,” said Chee. “But by the same token, neither is the Opposition the useless, destructive force that the PAP paints us out to be. We have good ideas that will help to improve the lives of our fellow citizens. The PAP and the Opposition can, no must, find common ground and work for the good of this country,” he said. He added that the SDP would push the PAP hard, and provide “credible and usable policies” to take Singapore forward. Dr Chee is one of the four SDP candidates who are taking on the PAP team led by Minister for Environment and Water Resources Vivian Balakrishnan in Holland-Bukit Timah GRC. Both sets of candidates spoke on Saturday evening – the PAP team at a rally in Bukit Panjang. While the incumbent PAP candidates dwelt for the large part on the infrastructural upgrades, transport service improvements and community bonding that had been achieved in their wards over the last four years, some national issues were also addressed by both teams.